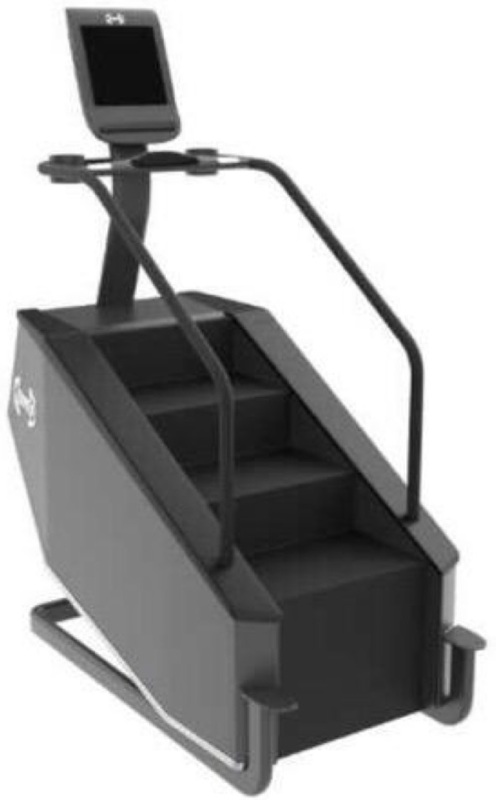 The MD-SC Commercial Stair Climber offers the core mechanics of the industry's leading models wrapped in a stylish look with enhanced functionality to create a next-generation experience. 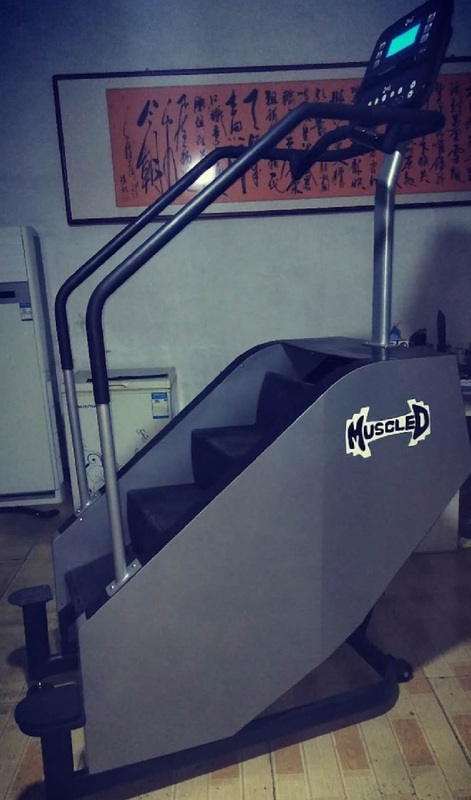 The MD-SC Commercial Stair Climber offers plenty of workout options, with such programs as quick start, manual, fat burner, calorie burner, intervals, bell-shaped, build, mystery challenge, steady, and heart rate zone trainer. 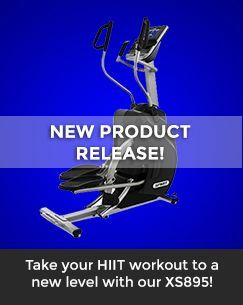 The console also offers a nationally recognized multi-stage fitness test that gauges your individual progress, along with a custom firefighter test (CPAT) that measures your cardiopulmonary endurance and muscular strength. 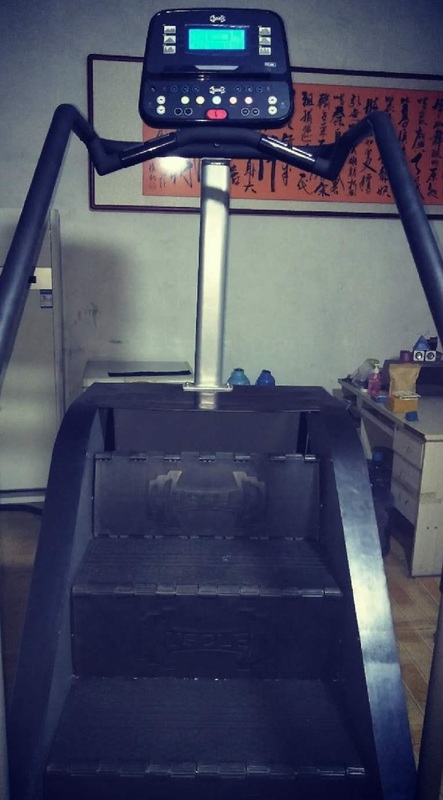 (FireFighting is considered one of the most physically demanding jobs, which is why the CPAT is such a natural fit with the MD-SC Commercial Stair Climber.) 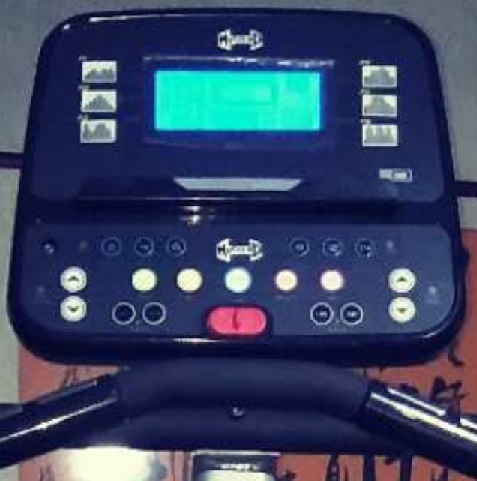 Finally, the easy to use LED screen tracks your speed, distance, foors climbed, calories burned, and much more. · Broad oval handrails that provide more comfortable hand support. · Dual over-sized water bottle holders near console that allow easy access without interfering with workout space. · Deeper step surface (8”) with durable and rust-free polypropylene construction. · Ergo-bar hand grip that provide alternative hand positions. · Accessory storage area. • Landmark Challenge: engages users as they watch their progress up well-known landmarks from around the world.